With indigenous environments under threat globally, how might more experience of nature be included within increasingly dense urban development? 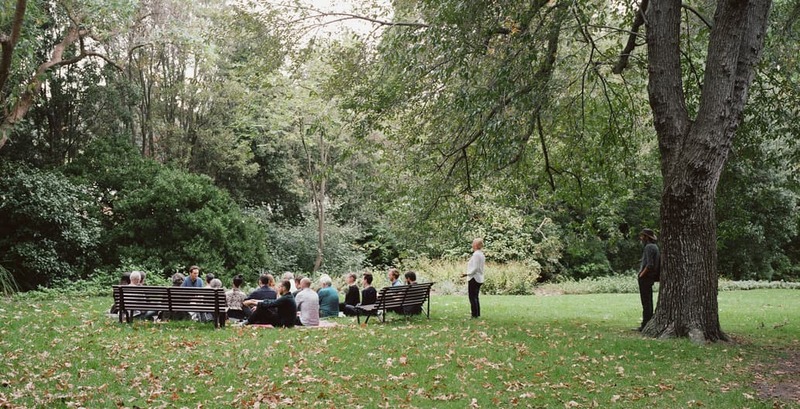 A cross-disciplinary symposium at the Royal Botanic Gardens Melbourne saw gardening and listening as crucial tools. It was 20 years ago that Jim Sinatra and Phin Murphy published a book of stories from around Australia: Listen to the People, Listen to the Land. Told by pastoralists and graziers, opal miners, environmentalists, former city people who propagate indigenous plants, Aboriginal men and women, the tales were intended to inspire respect and understanding for our landscapes. The storytellers are united firstly in despair at damage done to fragile landscapes by hardworking but unknowing settlers, and secondly, by efforts to find specific, practical ways to appreciate and manage economic needs and environmental necessities. While these were stories of landscapes beyond cities, the same imperatives now apply equally to highly altered and urbanised landscapes. We need stories here too. 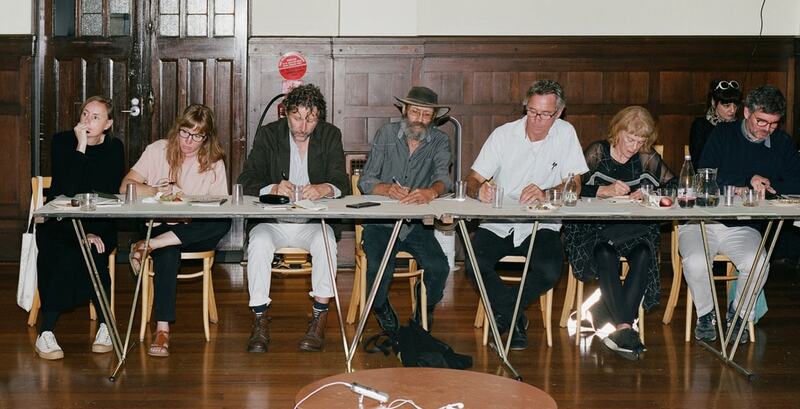 A series of events held as part of 2019 Melbourne Design Week included a symposium that brought together a diverse range of experts to explore the notion of ‘landscape as protagonist‘. 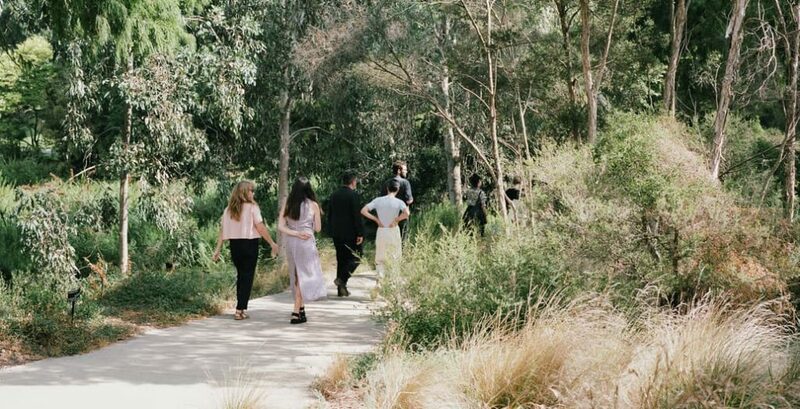 Organised by property developer Molonglo Group, three international keynote public lectures and the symposium examined cultural perspectives on landscape and how more experience of nature might be included within our increasingly dense urban environments. A common thread uniting the speakers was a belief in gardening and listening as crucial tools in addressing this challenge. Gardens exist as a wide spectrum of well-intended experiments and interventions in shaping non-human landscapes. Wilderness – a place unaffected by human activities – arguably no longer exists. Conversely, non-human nature is making what it can of urban environments, with ecologists noting “more and more plants and animals are adopting new ways of living in the seemingly hostile environments of asphalt and steel”, thriving and evolving more quickly than had been previously supposed. In addition, Australian cities, for example, contain accidental refuges for rare and endangered species which conscious, skilled gardening must now maintain. 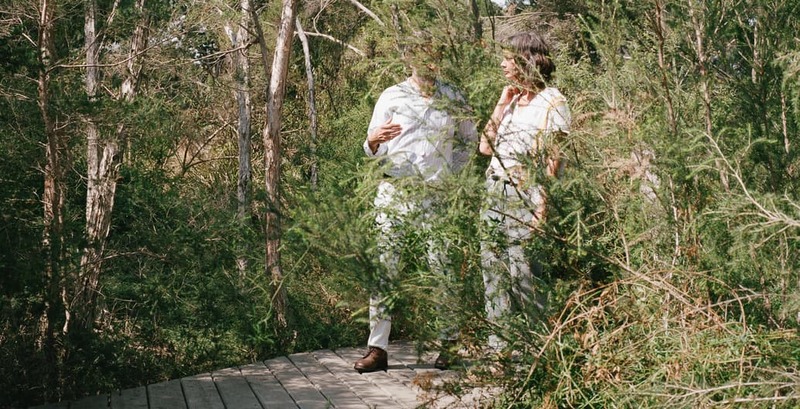 Rewilding urban waterways is another ambitious gardening project that organisations such as CERES on Melbourne’s Merri Creek have been supporting with local communities since 1982. ‘Gardening’ can be a way to better learn about and consciously deal with damaged and shifting planetary systems as well as local ecosystems. In this sense, cultivating a garden is caring for country. Uncle Dave Wandin was a guest at the day-long symposium held in the Royal Botanic Gardens as part of the ‘Landscape as Protagonist series. Here, Wandin described how traditional and oral knowledge is helping to successfully repair landscapes in new, careful ways. Wandin explained the history and work done to restore country at Coranderrk, part of the former Aboriginal Mission. It is one of many significant Wurundjeri places being actively managed by indigenous people. It was also process of learning for him that enabled the confident growth and sharing of rediscovered knowledge with other communities. As part of the symposium, participants toured the Long Island indigenous garden which features vegetation of the Lower Yarra River. The site was originally swamp and part of the river system, before the Yarra was realigned in 1900 to alleviate seasonal flooding. A century later, careful gardening from trained staff and many volunteers has returned habitat that is attracting insects, birds and other native fauna once common here. More than other plant collections in the Gardens, this ecology-focused experience is about regeneration. It is not just about individual attractive specimens organised in tasteful, accessible layouts – although there is a wondrous selection of delicate flowering, seeding, sprouting and senescing grasses, forbs and bulbs as well as shrubs and trees – but about the mess of growth and decay and renewal of a system that visitors can feel a part of and return to with curiosity that broadens our capacity for delight and wonder. 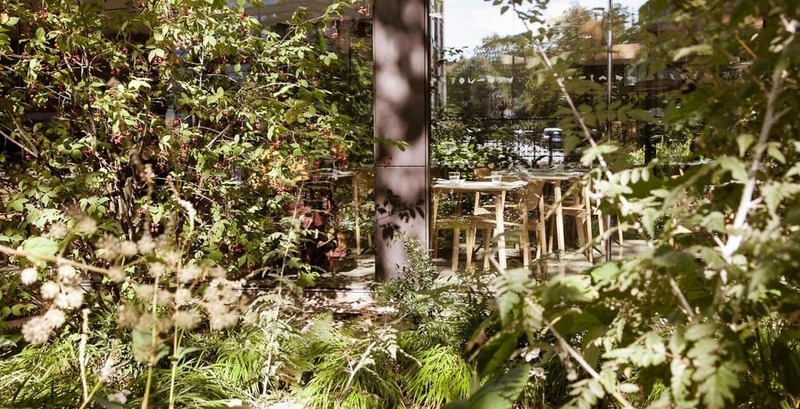 As some participants in the symposium noted, Julian Raxworthy’s recently published book Overgrown makes a plea for “landscape architects to leave the office and return to the garden”. The rediscovery of gardening reorients designers to consider growth and change, to appreciate viscerally what the landscapes that they design create. And also, what they may destroy. It suggests that designers and plants are partners in a renewed practice which he calls ‘the viridic’, as architecture is tectonic. A landscape- or ecology-centred approach to human settlement and culture may seem situated toward the ‘green’ left of politics. But the impetus to protection and restoration has also been a tool of the far-right. In the complex choices of garden-making, ideas of restorative or even appropriate species selection draws on scientific knowledge in the cause of political ideologies. Landscape architect Willy Lange’s 1912 book Gartengestaltung der Neuzeit (Garden Design of Modern Times) was influenced by Haeckel and Darwin. It promoted dubious ideas about the assumed relationship between the German people and nature, captured in the phrase ‘blood and soil’. Given the global decline of indigenous plant and animal communities, urban access to any flora and fauna is now a recognised matter of concern. At a time of climate-change, the historic experiments of acclimatisation can teach us much about what we gain and what we lose. We may need to consider ourselves gardeners of whole ecosystems assisting plant communities migrate with shifting weather patterns. A more recent recognition of the nuanced opinions of German advocates of indigenous planting notes that opportunistic advantage was a more important motivation than ideological conviction. We can recognise something similar in ‘greenwashing’ or the more subtle attractions of a fashionable aesthetic that may happen to align with the characteristics of a palette of local plant species. 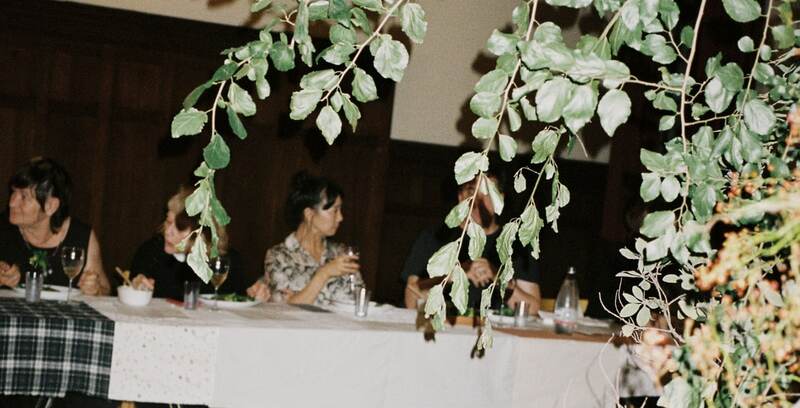 The ‘problematic roots’ of a divide between landscapes and people that participants were asked to explore, were teased, loosened and re-knotted throughout the day. Although not completely untangled and neatly potted, it was agreed that we need to acknowledge and work beyond simple binary distinctions. All human-nature relations are a cultivation. Listening and looking were both clearly at play for the seminar and presentations of Landscape as Protagonist. The seminar also served up other sensory delights appropriate for deep communication of place through taste, smell and touch. Throughout the day, catering featured delicious produce that drew attention to the bounty of place. 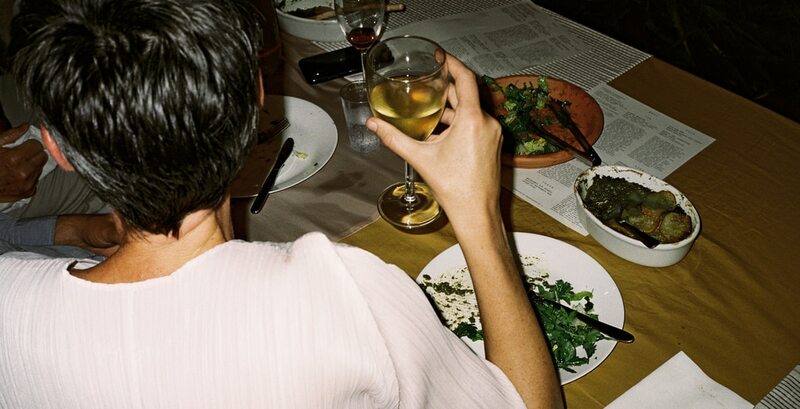 The dinner was an especially effective, taste-based lesson in vegetable migration. Cooked by Audrey Shaw and produced by Long Prawn, the ingredients included Melbourne indigenous saltbush and Warrigul greens, native Australian macadamia, fragrant pepperberry and bush tomato, naturalised rosemary and sorrel, invasive wild fennel and blackberry and farmed potato and tarragon: a full suite of the conditions of Australian vegetation made equally palatable and enjoyable. There was also the transformed nectar of many Melbourne flowers: honey from Zhu Ohmu’s East Brunswick hives hosting some of the happiest and healthiest bees in the world. The outdoor music and poetry by Plants and Animalia and Makiko Yamamoto of Liquid Architecture was performed under a cool clear night sky threaded with swooping bats. The primary condition for communication with landscape is surely to be in it. As people have less access to nature and its variety there is less impetus to miss it or even consider it, let alone learn about it, conserve or supply it. We are literally losing language to talk about the natural world. Complaints were reported in 2015 that the Oxford Junior Dictionary was replacing ‘acorn’ and ‘buttercup’ in favour of ‘broadband’ and ‘cut and paste’, amongst a host of other similar changes. In response, word-hunter Robert Macfarlane produced a book for children The Lost Words. Indigenous peoples have complex and precise terms for the bewildering and subtle array of conditions in which they have long found themselves within their environments. Once thought to be an urban legend, the 19th century suggestion that eskimos have over fifty words for snow appears to be true. A recent appeal to learn the indigenous names of Australian trees was made because the words are part of a whole knowledge-system and invoke understanding that is properly part of personal lived experience. As Wandin explained, the oral stories of Australian indigenous peoples record ancient geological changes. It is well-known that oral traditions describe events such as sea-level rise and fall from thousands of years ago, and probably eye-witness accounts of cosmic impacts that are much older. The symposium brought together thinkers and doers from many fields. The artists, landscape architects, gardeners, developers and other practitioners were first obliged to communicate with each other. The initial task of introducing ourselves via a pre-chosen image of ‘nature’, established rich empathy not just with the speaker but with their place, described and felt inseparably as part of a mutual journey. Landscape designers have experience and skills in assessing site conditions, and in communicating with clients, users and authorities about a site’s potential. The work thrives on inherent tensions, crafting designs that will serve and challenge multiple perspectives, including that of the health and ecology of the site. Dan Pearson's gardens at The Garden Museum, London, a de-comissioned 17thC church. 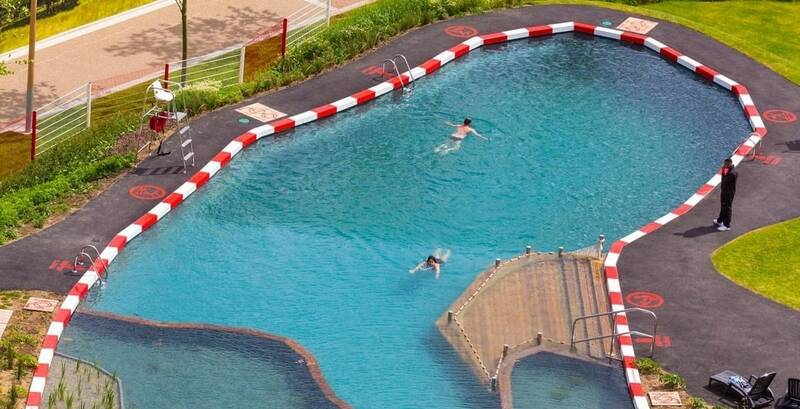 The Kings Cross Pond Club temporary natural pool is located in a construction site. 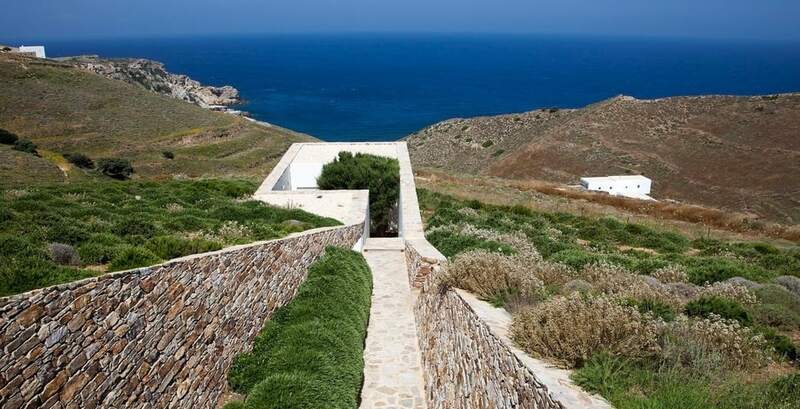 The 'gardens' of Doxiadis+ Estate on a pristine island, Skyros, Greece, utilises local vegetation. It is commonplace to hear that design is a process rather than a product. (It is also distinguished from a methodology or called for preference an approach.) It is better understood as a verb and practice rather than as the object created. In this thinking, clients buy and benefit from the journey of delivery of their commission as much as, if not more than, the outcome. Marjetica Potrc was one of the international speakers who formed part of the program. Her much-published Kings Cross Pond Club project galvanised and arguably created a local community that came together to enjoy and then defend the unfamiliar work. An artist and architect, Potrc has worked on landscape projects and art installations around the world, focusing her practice on involving people in the development and life of the work. Her public presentation began – with some audience bemusement – explaining the simple siting and construction of a community dry-toilet in Caracas, Venezuela. In a district without access to municipal water, it rethinks the relationship between infrastructure and design in delivering direct, real-life environmental benefit. The temporary Kings Cross Pond Club is a far more well-known and pretty project but was equally rigorous in its site-specificity. Described as a ‘micro-ecological environment’, it has a natural swimming pool at its centre, located within the construction site of King Cross Central development in London. Again it was the local community who adopted and loved the project, lobbying for it to be relocated when it finally had to be closed. 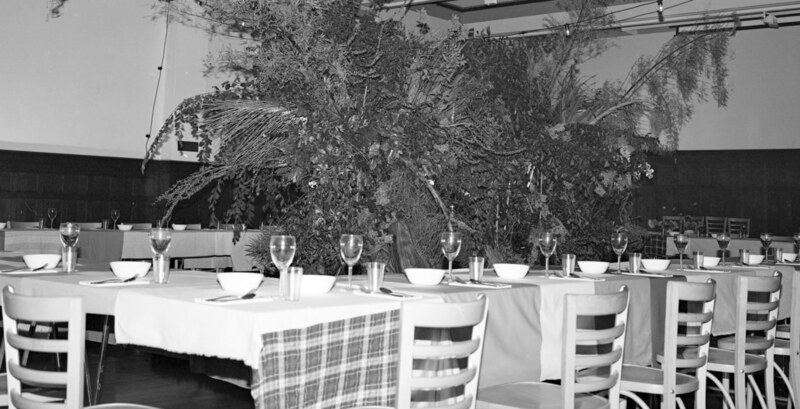 Thomas Doxiadis was another international guest. An architect and landscape architect based in Greece, he offered an overview of gardening as a litany of mistaken efforts to control non-human nature. Despite being troubled by the co-opting of nature to human ideals of pleasure and perfection, Doxiadis also embraced the unavoidable hopefulness of the human condition in its joy to create and enjoy landscape. Utopia – no place – is not simply a misunderstood Eutopia – a good place – but should properly be Entopia – a dwelling in place. To the extent that the designers can help us access an unmediated experience, they open us to accepting something other than what we may know or expect. This opportunity to be in place is what his projects try to compose, aiming to “help create a new symbiosis between humanity and nature”. Doxiadis noted that the initial demand of a client for their site-sensitive Greek island villa garden, was that it should have no snakes. After extensive research with reptile experts, the client declared that snakes were not really a problem. For Doxiadis this didn’t seem to be a change of heart based on costs – which were minimal – but, he likes to think, on an eventual acceptance by the client of the fuller ecology of the site that came with enjoying the stark heath aesthetic which the ‘garden’ offered, indistinguishably from the island landscape. Landscape gardener and journalist Dan Pearson’s talk revealed new achievements in the rich English landscape tradition of healthful, flowering luxuriance. From the experiments transforming his own rural smallholding, to the interpretative restoration of an English castle, the astonishing achievements transplanting significant mature camphor laurels to a new Shanghai resort, and planting courtyard gardens for a cancer centre, Pearson’s work supports his claim to always “want to understand the site and feel our way into it”. Yet he believed that with the recent oasis-like planting of The Garden Museum, sited at a deconsecrated Lambeth church containing graves of two 17th century royal gardeners, John Tradescant the Elder and the Younger, “it is not necessary that people understand it’s past to enjoy it.” Enjoyment is something worth interrogating. The appreciation of any landscape seems ever-more enhanced by recognising the past recorded in its very fabric. The gap between looking and seeing, listening and hearing is the perfect place for designers to insert themselves and offer access to marginal visions and voices, giving space to experience the unexpected. The symposium asked what might be done to acknowledge and include the natural landscape in urban development. It is not a new concern. An increasing range of technological options and policy encouragements envisage supporting vegetation on rooftops and walls, narrow streets, courtyards and private balconies, recognising that this includes the insects, birds and other animals that will also benefit. But there may be a need for more radical privileging of landscape. This is what Rod Simpson, the inaugural Environment Commissioner of the Greater Sydney Commission, suggested at last November’s call for a National Green Infrastructure Strategy by the Australian Institute of Landscape Architects. The question of how to better integrate urban land development with natural landscapes raise myriad further questions. What is or should be role of designers? What is the role of developers? What is ‘nature’, ‘landscape’, ‘cities’, ‘built realm’, ‘community’? How do we communicate to so many diverse interests and experiences? What languages can we use? How do we listen? The symposium touched on several exploratory responses: Leave more space for nature and help nature colonise other space. Provide space and opportunity for story-telling that will facilitate this. Consider and include food production and even fire, as nature already human-integrated. Having poked at the challenges and acknowledged the imperatives of communication between humans and the landscapes they occupy, the next steps will require ongoing generosity to remain open and inclusive, even as competition for resources intensifies. Population growth and climate change are making reconsideration of mutually supporting natural systems imperative for political survival, as well as human survival. We are realising that the landscape is the protagonist – the critical character that must be heard to cultivate a future.